Sometimes you make something and it becomes a total success other times it can be a complete disaster and this is how this bracelet came about. I purchased this diamante and chunky chain for a few pounds in New Look with the intention of spraying the jewels with lace. It didn't work out as intended the spray went blotchy and the pattern didn't really show up as well as I had hoped, so it was relegated to the draw of incomplete projects until is saw these. 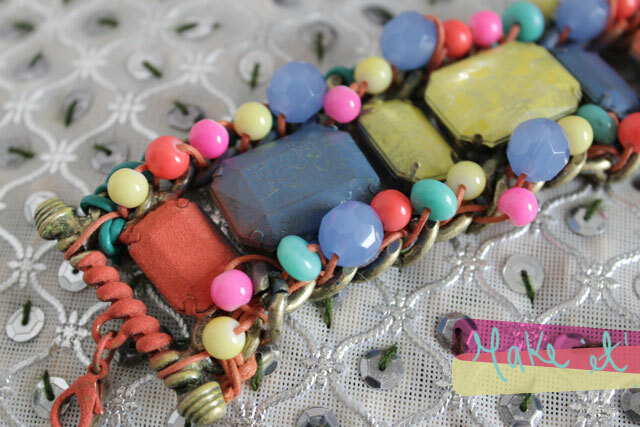 I loved (as did quite a few of you on pinterest) the bright colours and holiday feel so thought I'd use up a few of my brightly coloured beads and cord to bring it back to life. I have put a loose tutorial below to hopefully inspire you to use up what you have and create something shiny and new. You'll need: A chunky jewel and chain bracelet (look in the sale sections). Various colour spray piant, some thin coloured cord and a selection of different coloured beads. First spray your jewels different colours - making sure you cover what you don't want sprayed with masking tape and leave until completely dry. 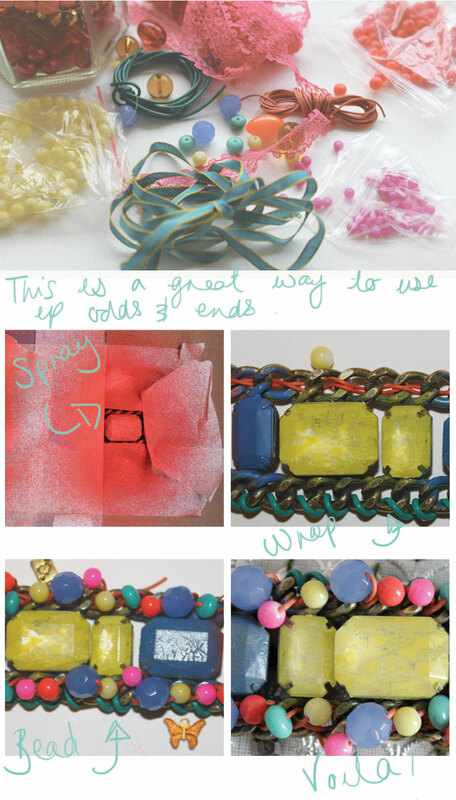 I laced my coloured cord through the chain before I added the beads but you can skip this step. Tie your lace securely to one end of the bracelet and then thread your cord and beads through the chain until it is completely covered with beads, when completed tie your thread off securely. Repeat on the other side. Done! 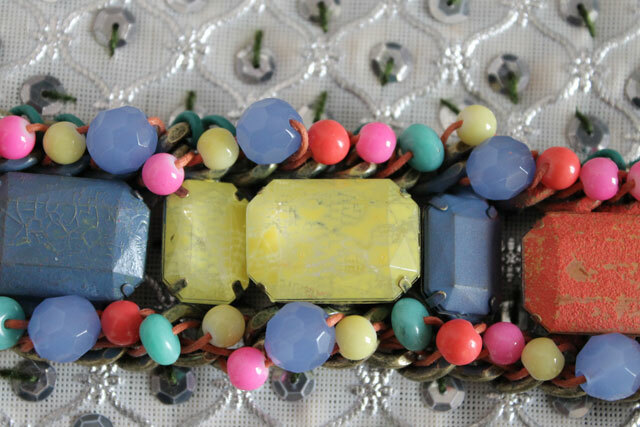 You don't have to use brightly coloured beads as long as the shades are tonal anything will work.